Maxi’s is the newest gastronomic adventure by internationally acclaimed Chef Jennie Staines. Owned by her mother Elvi Staines and managed by her son Oscar Pinelo and her niece Elvie Guerrero, it’s another family owned an operated establishment by the Staines family. Its soft opening on March 4th came almost surprisingly since the small business doesn’t even have a sign up yet. Still, crowds swarmed to the inviting atmosphere. Needless to say, if my aunt Jennie is involved the food is something to write home about! Having over 30 years of experience in the culinary field and countless awards and recognitions in her name Chef Jennie is a prodigy of food in Belize. Of course you can have wine or your favorite cocktail with your tapas, but mojitos made with fresh cane juice are the specialty at Maxi’s. My favorite and a must try is the Watermelon Mojito! 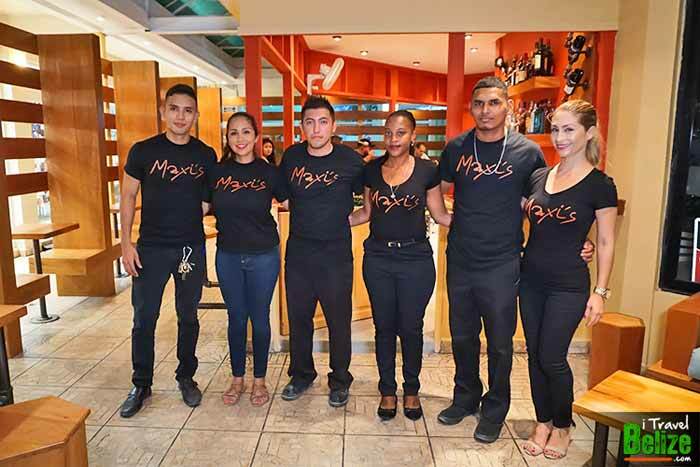 The staff at Maxi’s if fun, young and inviting and so is the atmosphere. Don’t forget to read the clever T-shirt quotes on the staff’s back while you’re there. I guarantee a chuckle or two at that.